Measures 4" x 2" x 1/2" Cedar storage box. Made in the USA. 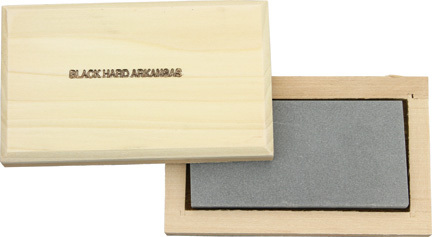 Pocket size stone for quick blade work. Good value.